John Bacchus Dykes, from J.T. Fowler, The Life and Letters of John Bacchus Dykes (London: John Murray, 1897). Note: The following list is adapted from Hymn Tunes Composed by John Bacchus Dykes (London: Novello, 1902). 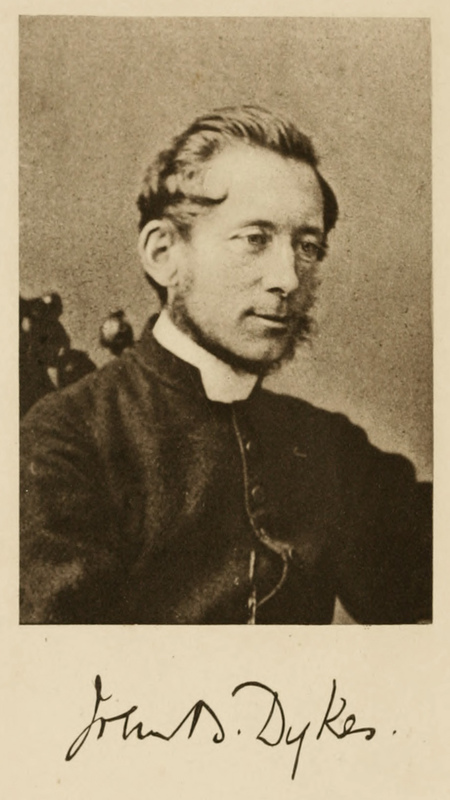 Erik Routley, “Victorian Hymn-Composers – II: John Bacchus Dykes, 1823-1876,” Bulletin of the Hymn Society, vol. 2, nos. 3 and 5 (July 1948, January 1949). Arthur Hutchings, “Dr. John Dykes, 1823–1876,” English Church Music, new ser., vol. 11 (1973), pp. 41–56. Paul Westermeyer, “John Bacchus Dykes,” Let the People Sing: Hymn Tunes in Perspective (Chicago: GIA, 2005), pp. 251-254.